In most cases, a painting contractor isn't working with an empty house. If the painting contractor is going to be working inside your home, you want to be assured that your furniture and floors don't end up with paint all over them. You also don't want paint on light fixtures and doorknobs. You want paint to be where it belongs and nowhere else. A paint job will not last if proper pre-paint preparation techniques are not used. Things like silicone, wax, polish, grease and dirt will prevent the paint from adhering properly. Things might look okay for a short while, but when bad weather arrives, it becomes apparent that pre-paint preparation was sloppy. Before new paint can be applied, it's important that all dirt and grime, mold and mildew and chalking or peeling paint be removed. This is important whether the painting is in the interior of the home or on the exterior. You have the right to expect a painting contractor to caulk holes, window frames and other trim areas that typically require caulking. One of the goals of painting your home is to protect it from the environment. Caulking prevents water from seeping in behind trim and causing extensive damage. On the inside of the home, caulking eliminates the home many bugs would like to make behind your trim work or cabinets. Caulking is all part of doing a quality job both inside and out. Paint Quality Tip #4-Clean Lines between Separate Paint Colors. We've all seen painting jobs where the junction between the ceiling and the walls looks messy because color from the walls slopped up onto the ceiling. No professional should walk away from a paint job where the lines between ceiling and trim, or ceiling and wall aren't straight and clean. Paint Quality Tip #5 - Neat Painting Around Windows, Doors and Trim. A painter who does quality work spends time masking. You have the right to expect windows without paint on them. If you use a different color to frame the trim around your windows and doors, you have the right to expect that color to only appear on the trim. You should never have paint on doorknobs or hinges either. Only amateur painters fail to mask these typical door features. The same goes for light and electrical fixtures. A professional never leaves a drip running down the wall. Any drips should be sanded down then retouched with another coat of paint. The color of the paint should be consistent and even everywhere. You shouldn't see any evidence of a previous color showing through. If it takes three coats of paint in some areas to accomplish this goal, that's the responsibility of a professional painter. To ensure you're happy with the level of coverage, you want to inspect the paint job under bright light. Daylight is usually the best, but bright artificial lighting is also useful. If you can inspect the paint job under both conditions, it's a good idea before you pay that contractor. Reed Security believes when you become a client you will be entering into a relationship – one they want to grow and become long term...they work hard to meet all your Alarm & security needs from day one! Find Reed Security online at www.reedsecurity.com or check out their listing here in the SASKATOON ALARM & SECURITY Category on THE Saskatoon directory of excellence. 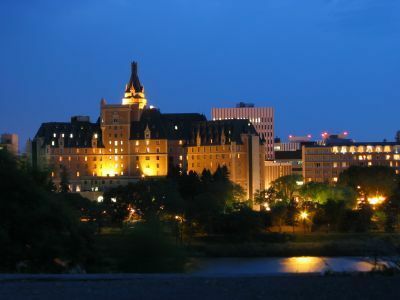 Virgil Reed and his team are YOUR Trusted security experts right here in Saskatoon! What price do you offer a seller?Is the seller’s asking price too high? Is it a deal?Your own research is important, as is the assistance of a Realtor®. A professional Realtor® can offer an unbiased opinion on the value of a home, based on many factors and a great deal of information. Without knowledge of the market, your offer could be too much. Or worse, you could miss out on a great buying opportunity. Hire the right person and trust that person to represent your interests. Before you sign, ensure that all documentation clearly reflects your understanding and conditions of the transaction. Don’t rush. You could lose money, financing, or even the sale if you attempt to push things through too hastily. Check out Trusted Saskatoon Realtors listings here in the SASKATOON REAL ESTATE Category on THE Saskatoon directory of excellence. When seeking health and dental services, people connect, compare and communicate to book the services of the best healthcare practitioners in locations all over the world. Regardless of the type of medical procedure you require - from major surgery to dentistry to cosmetic improvements - there are multiple medical travel destinations that you might consider, but ultimately, the destination choice is entirely yours to make. COSTA RICA: An Abundance of Beauty and Cutting Edge Practitioners! With its majestic natural splendour and warm climate, Costa Rica has become a rapidly popular destination for medical tourism with a wealth of high-grade medical facilities, world-class medical professionals and a World Health Organization acclaimed healthcare system on par with Canada and the US. Costa Rica's Hospitals and International Standards of Care offer an abundance of cutting edge practitioners, general health professionals and specialists, with western-standard facilities and high-grade hospitals accredited by the industry standard Joint Commission International. Popular medical specialties include cosmetic surgery, dental, orthopaedics, multiple sclerosis treatments and bariatric surgeries associated with permanent weight loss. It is a favoured destination for medical tourism because of its positive reputation and top eco-tourism destination. Consider the following healthcare facts: The World Health Organization ranked Costa Rica's health system as one of the top three Latin America countries, ranked even higher than United States and New Zealand. The World Bank ranked Costa Rica as having the highest life expectancy, at 78.7 years. This figure is the highest amongst all countries in Latin America, and is equivalent to the level in Canada and higher than the United States by a year. Costa Rica the Country Costa Rica is located in Latin America. Costa Rica’s capital is San Jose with a population of 2.1 million people. The currency used in Costa Rica is the Costa Rican colon. While having a population of 4.5 million individuals, Costa Rica is an extremely diverse country governed by a democratic republic. Costa Rica’s environment contains everything from dormant volcanoes, rainforests, tropical beaches, and mountain cloud forests. One of the country’s greatest attractions is its beautiful natural environment which holds wildlife refuges, private reserves, and national parks such as Manuel Antonio National Park. Costa Rica offers something for every kind of traveler. Vacationers can enjoy activities such as surfing, snorkelling, rafting, hiking, canopying, and zip-lining. Environmentalists can enjoy the wide array of tropical plants and animals that Costa Rica has to offer. Language Costa Rica’s official language is Spanish with English being the second most commonly spoken language. Religion Roman Catholic 76.3%, Evangelical 13.7%, other 6.8%, none 3.2%. Climate In Costa Rica the rainy season goes from May to November, while the warm dry season is from December to May. Since Costa Rica is a very diverse country different regions have different climates year round. In the Central Valley the region has spring like climates year round, while the coastal regions enjoy much hotter and humid temperatures. Clothing It is important to pack the proper clothing for the right time of year when visiting Costa Rica. Lightweight cottons and linens are great for the majority of the year, although waterproof clothing is essential during the rainy seasons. Mobile Phones In 2010, Costa Rica’s electricity institute came out with Costa Rica’s first prepaid cell phone. Email You can access e-mail and internet while visiting Costa Rica through internet services that is available at most of Costa Rica’s leading hotels. Cyber Cafes are also becoming popular at many of Costa Rica’s tourist attractions. Fitness Focus a Trusted Saskatoon Fitness & Gym Expert have a TRUSTED TIP on Physical Activity Levels..are you doing enough? At Fitness Focus, the goal is to offer a fitness center with a welcoming; fun; and safe environment that all ages can enjoy. They are a forerunner in the fitness industry in Saskatoon . With the ever changing fitness demands of new and improved classes, training; and nutrition. Many Canadians believe they don't have enough time to exercise or eat healthy meals, the Heart and Stroke Foundation says. The charity commissioned an online survey released recentlythat suggests most Canadians know heart disease and stroke can be fought by making healthy choices. Yet almost half of the survey respondents said they don't have enough time to be active or eat healthier meals. Arul Myles Mylvaganam of Richmond Hill, Ont., was one of the Canadians who felt too busy to cook. The real estate agent used to eat most of his meals in his vehicle, starting with five cups of coffee a day with cream and sugar. Then five years ago, he felt severe pain in his chest and knew he had to get to a hospital. "I told her if you don't bring me now, you won't see me again," Mylvagadam recalled with his voice breaking. "If not for my wife, I don't think I'd be alive today." Heart patient Arul Myles Mylvaganam started eating better after feeling severe chest pain. CBC The survey pointed to a disconnect between what Canadians know they need to do to protect themselves from heart disease and stroke and what they're actually doing, said Dr. Beth Abramson, a cardiologist and a spokesperson with the foundation. Nearly half of respondents in the online survey of 2,160 Canadian adults conducted in October used time as an excuse for being unhealthy: 44% of respondents said they had no time for regular physical activity. 41% said healthy meals take too long to prepare. More than half (51%) said fast food outlets don't have enough healthy choices. And almost a third (31%) said the time they would like to spend being active they instead spend commuting. The Heart and Stroke Foundation says that finding time is critical for Canadians because heart disease and stroke kills one in three Canadians and is the leading killer of women. The foundation urges less TV The foundation says that Canadians who believe there isn't enough time to live healthy are wrong. While acknowledging the time crunch in people's lives, a foundation news release notes that Statistics Canada has said 29 per cent of Canadians over 20 spend two hours a day or more watching television, and 15 per cent spend at least 1.5 hours a day of their leisure time on computers. P.O.V. Would you give up TV time for exercise? "We're exercising our brains and our thumbs in today's society, but we need to be exercising our bodies and we need to have that balance in terms of screen time, as they say, and getting out there and being active," Abramson said. Canadians can improve their health and extend their lives by getting 150 minutes of moderate to vigorous exercise weekly, Abramson said, noting that that the exercise can be done in 10-minute increments. The charity said Canadians' ability to afford healthy food is a real problem, however. It argues that government, industry or non-governmental organizations need to help low-income Canadians get access to healthy food choices, make fruits and vegetables more affordable, and provide more stores with healthy food options. The foundation recently launched a new campaign called Make Death Wait that is encouraging people to log one million healthy actions on its website by the end of February 2012. "We can reduce heart disease and stroke by up to 40 per cent by making lifestyle changes," Abramson said. "What seems to be a very small, small intervention in your very busy day can actually have a significant impact in your risk for heart and stroke [disease]." For Mylvaganam, the heart attack was a wake-up call. Since then, he said he makes time to eat better.